Eyes peeled for a wheat penny…or better. That’s me alright. Recently one came my way. The thrills of paying in cash! U.S. coins were so much classier a century ago. Even today’s stamps have succumbed to the same sad state of bland design watered down further by ubiquitous political correctness. 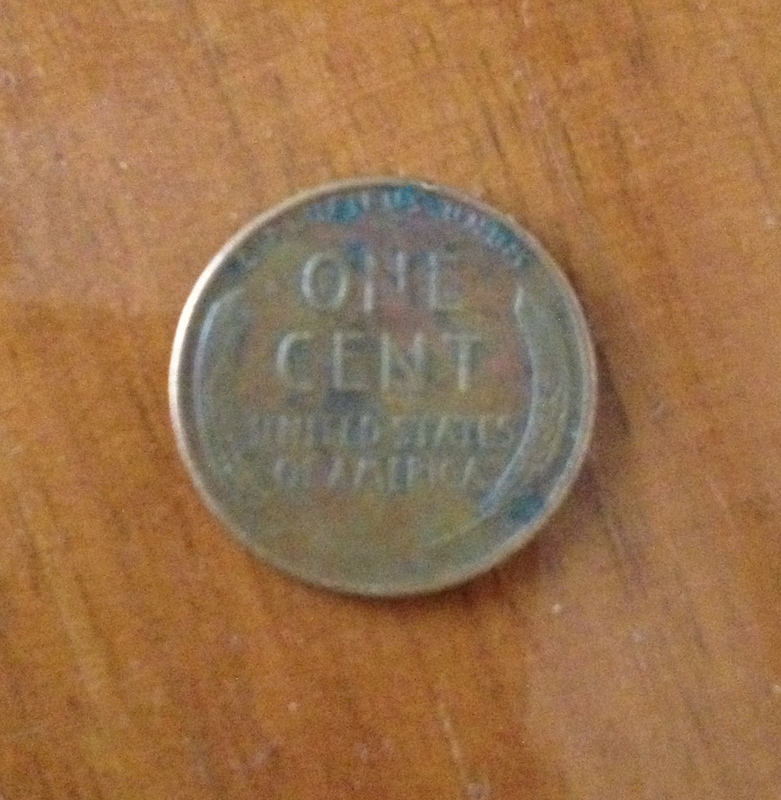 In fact, the original one-cent piece saw a lot of changes in its 51-year run. When it was first issued in 1909, it was about the same size as a current half-dollar. Initials of the designer, Victor D. Bremer, were on the reverse, moving in 1918 to the front on Lincoln’s shoulder. During WWII, the 1943 steel cent was popular as a copper replacement. What with the metal thieves’ zeal these days (they stole my copper wire flowers from my front yard), it’s curious why so many pennies are still in circulation. I guess the criminals are purists.